سواءً كنت مسافراً بغرض السياحة أو العمل, Hôtel Atiapiti Raiatea هو خيار عظيم للإقامة خلال زيارتك رايتيا. إن موقعه الجيد الذي يبعد 1.7 Km فقط عن مركز المدينة يساعد النزلاء على الاستمتاع بمعالم المدينة ونشاطاتها. سوف يعشق النزلاء موقع هذا الفندق، فهو قريب من أهم المعالم السياحية في المدينة كمثل Marae Taputapuatea Complex . يعمل Hôtel Atiapiti Raiatea على ضمان إقامة مريحة لضيوفه من خلال خدماته الممتازة وحسن ضيافته. يقدم الفندق فرصة للاستمتاع بشريحة واسعة من الخدمات بما فيها: واي فاي مجاني في جميع الغرف, تسجيل وصول/خروج سريع, تخزين الأمتعة, واي فاي في المناطق العامة, صف السيارات . تنعكس أجواء Hôtel Atiapiti Raiatea في غرف الضيوف.اتصال لاسلكي بالإنترنت, اتصال لاسلكي بشبكة الإنترنت (مجاني), غرف لغير المدخنين, مكتب, شرفة/ تراس هي بعض الميزات الموجود في العديد من الغرف. صممت خدمات الاستجمام في الفندق والتي تتضمن شاطئ خاص, غوص, صيد السمك, حديقة, رياضات مائية (غير آلية) لمساعدتك على الاسترخاء والراحة. مهما كانت دواعي سفرك فإن Hôtel Atiapiti Raiatea هو خيار ممتاز لإقامتك في رايتيا. We stayed for several days before our bareboat trip. Could not have been happier. Beautiful location, awesome snorkeling via Motu which can be paddled to and the host could not have been more inviting. Plan to stay here many, many more times! Hotel Atiapiti is a beachside gem fronting Raiatea's turquoise lagoon. The bungalows are very well appointed, and nothing was too much trouble for Marie-Claude and her staff who went to great lengths to make sure our arrival and stay was most enjoyable. Marie was an excellent source of information on what to do and the history of French Polynesia. Awesome view after a 20 minute hike, great snorkeling, and ruins to check out next door. Excellent selection for our lodging pre-bareboat charter. 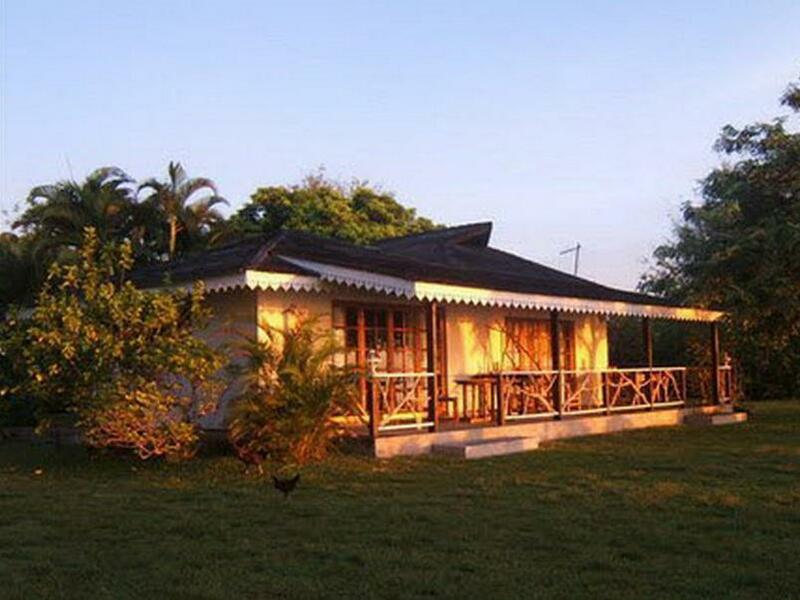 Large, comfortable bungalows, beautiful location, beachfront, friendly staff, and excellent service. Will definitely stay here again. It was very private and the view was great. Near an historic site in walking distance. No air conditioning was a bit of a drawback but the fans worked great. An idyllic spot with warm hospitality. We stayed for two nights and it wasnt long enough! Marie-claude was extremely helpful in giving us information, tips and advice about the island and its lagoon. We witnessed two whales surfacing from the comfort of our breakfast table! The food was lovely (a little expensive) but you are paying for the ambience too. The hotel is also extremely close to the famous Marae Taputapuatea, being less than a 5 minute walk away. Arsenne and Marie-Claude run a beautiful small hotel in the Opoa area. The hotel is a collection of individual bungalows - with most right on the beach, just a few steps to the Raiatea lagoon. The beach bungalows each have great views of Huahine, the Raiatea lagoon and reef, and a motu on the reef. 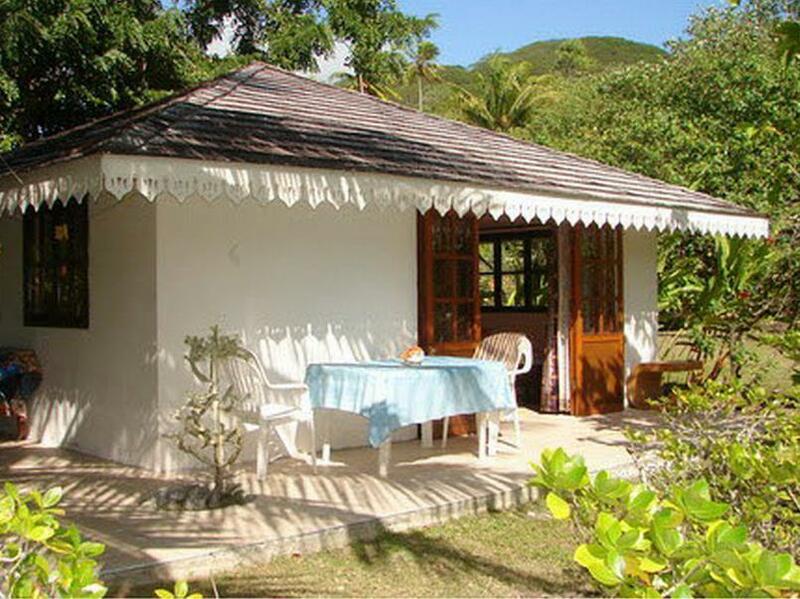 Located on the windward side of the island, a strong, refreshing and cooling breeze is almost always coming directly into the beach bungalows, which are comfortable and private. Breakfasts and lunches are available in the dining room or on the covered dining patio. Dinners are ordered and delivered to your bungalow exactly at an agreed time. Meals are VERY good - while we were there, local Raiatea residents came to the hotel just for the meals, and we thoroughly enjoyed all of our meals there. Definitely try the fresh fish prepared in the local Opoa vanilla sauce! I also loved the tagliatelle with bacon - rich with flavor and loaded with plenty of bacon. Watch out for their "fruit cocktails avec alcool" (with alcohol) - they are very smooth and tasty, but after a second one, you might be staggering back to your bungalow. I would book a beach bungalow - I would be concerned that the ones inland might not have that refreshing breeze to keep you cool. Also - immediately adjacent to the hotel is one of the most important maraes in French Polynesia - Marae Taputapuatea. This is worth a visit by itself, but if you stay at the hotel, it is only yards from your bungalow. There are several large "temple" and "courtyard" structures of lava/basalt, with good informational signs in Tahitian, French, and English. Arsenne doesn't speak much English, but Marie does well, and we had no trouble with communications. Please note that this is a very French hotel - not what you might expect of a hotel that caters to a lot of Americans. Relax and take it easy and you will have a great time here. Advertised as having restaurant, but only served breakfast and lunch. Dinner was available at local snack shop 1 km away. 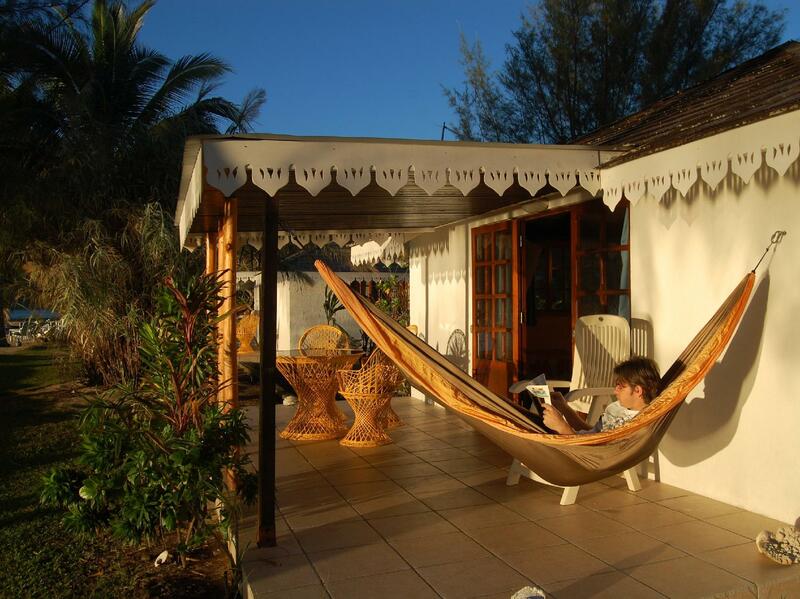 Great place right on the sea with beach and very spacious bungalows. Nice views, nice owner, who recommended a good local snack and interesting walk. Opoa makes a great stop on Raiatea! The staff was extremely helpful and recommended a wonderful tour for my short stay of two nights. They stock everything you need for a good beach experience like snorkels, masks, water shoes, towels, Anything I needed they anticipated before I could even ask! I would definitely return to this hotel. 1. location. 2. snorkeling. 3. Marie's hospitality, care, and cooking! We went to Raiatea to explore the marae and wish we had been able to stay longer, due to wonderful experience at Marie's. The hotel was right next to the marae. There is also amazing snorkeling just off shore. We wish we had stayed longer. The food was fabulous and matched what we expected to pay in Tahiti. Also appreciated the airport transport. was delightful and accommodating! She helped us book excursions at no additional cost. She was also always smiling and a wonderul person to meet on our travels! We had a great and relaxing stay! The beach bungalow was big and pretty with a kitchen so we cooked our own meals and are on our deck! Would love to come back!! Setting, proximity to good snorkeling and ruins. Fantastic. Definitely plan on returning. Marie Claude is friendly and fascinating! Marie Claude and Arsene are superb hosts and their accommodation is perfect for a quiet break in beautiful surroundings. The small kitchen in our bungalow was well equipped enough for us to cook simple meals although the nearest supermarket is a 30+ minute drive away. Having said that, restaurants are expensive so it's worth it! Each beach bungalow opens directly onto the sandy shore of the lagoon where you can happily snorkel - they provide all the equipment. You will need a car though. Loved it here. Right on the beach! Close to spiritual site! Attentiveness of our host, Arsene! Absolutely perfect for what we were looking for! Quiet solitude "off the beaten track" with the ability to go about "unsupervised". A great place to bring our family of all ages! Loved it!